Sharing resources, also known as renting out stuff you’re not using, grew out of need. People struggling to cover rent from month to month can list their couches or spare rooms on Airbnb. 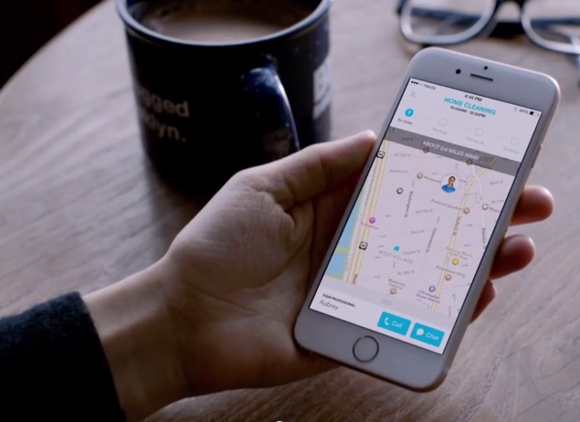 You can offer rides on Uber or Lyft to make your car payments. But the feel-good talk about sharing faded this year as startups began raising money—piles of money—and expanding into new cities as fast as possible. 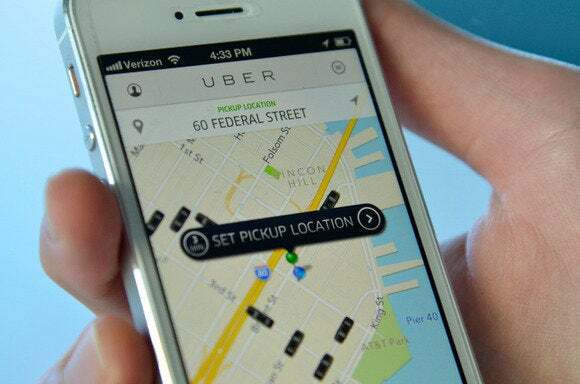 Apps that were focused on sharing are now emphasizing on-demand everything, and the biggest offenders of 2014 took a decidedly weird detour into dirty business tactics (Uber) and downright scary situations (oh, Uber again). Can “sharing” startups get back on track and conquer their bad PR, or will they implode in the quest for world domina—er, disruption? We’ll find out in 2015. Uber kicked the year off with a surge-pricing PR crisis and is ending it on a similarly dismal note. The car-hailing company landed in hot water last month after reports that it trots out its so-called “god view” of all its cars on the road in cities around the world as a party trick. The company has access to information about high-profile people who use the service, and one executive reportedly threatened to use that information against a tech journalist who called for an Uber boycott. Other journalists said lower-level Uber employees also had access to passenger information whenever they wanted. Sen. Al Franken wanted to know what the deal was. Uber CEO Travis Kalanick promised to clean up the company’s act going into the new year, which could be good news for people who just can’t seem to quit the service—even though there are plenty of other options. Uber didn’t just enrage journalists and passengers who care about privacy. The company also undercut rival car-hailing service Lyft with an organized campaign codenamed Operation SLOG (Supplying Long-term Operations Growth). The two companies rely on independent contractors to give rides on their platforms, and so Uber employees would hail rides with Lyft in an effort to persuade drivers to work for Uber instead. Uber employees were armed with burner phones to carry out their mission, which isn’t illegal, but made the company look extremely shady. Uber also tried to gut Lyft financially by fouling up the startup’s fundraising efforts. But Lyft seems to be doing just fine, and might even benefit from Uber’s continual PR crises. Airbnb spent the year rebranding itself as a hospitality company, but New York Attorney General Eric Schneiderman wasn’t having it. He took the company to task for violating state laws against short-term rentals and issued subpoenas for information on Airbnb hosts who appeared to be running illegal hotels on the platform. Schneiderman won the battle, and found that about 72 percent of Airbnb listings in New York City are violating city law. Mayor Bill de Blasio in October started filing lawsuits against Airbnb hosts operating illegal hotels on the platform. Airbnb has found support in many cities around the globe, but in New York City, the war rages on. With people clamoring to offer their home and cars for a price, it wasn’t long before startups launched to help people offer their own physical labor for cash. TaskRabbit and Handy (once known as Handybook) became two of the main players in 2014, helping freelancers find odd jobs for a fee. Handy focuses specifically on help around the house, while you can contract a TaskRabbit to help with just about any errand. But both startups came under fire this year for the way they treat freelancers. TaskRabbit changed its algorithm—instead of letting TaskRabbits bid for jobs, the company matches users who need help with prospective candidates. This move was unpopular with a group of TaskRabbits who claim it eliminates their ability to choose the tasks they perform. Meanwhile, Handy was sued by two workers who alleged that the company treats them like employees while classifying them as independent contractors. Startups are increasingly relying on freelance workers to keep their costs down and their business running smoothly, so we can expect to see more labor scuffles between tech companies and workers in the new year. What happens when an app allows people to buy and sell resources they don’t actually own? It gets banned. That’s what happened to MonkeyParking, a Rome-based startup that launched in San Francisco to let drivers auction their parking spaces to cars circling the city in the quest to find a spot. But San Francisco law says buying and selling parking spots, which are public, not private, resources, is illegal. Not to mention dangerous. MonkeyParking isn’t the only parking space auction app, and now cities are banning the practice across the board. Los Angeles passed an ordinance doing just that in November. Philadelphia is contemplating doing the same. Startups trying to “disrupt” parking might look at Luxe Valet’s model, which uses garage spaces, not public resources, to ease parking woes. MonkeyParking is now connecting users who want to share their private driveways to keep itself out of trouble. When ManServants, a platform that offers men for hire, launched this summer, it seemed like a joke. The startup’s prelaunch promo video was so ridiculous it couldn’t be real. But ManServants is real, and though there’s nothing wrong with offering the pleasure of your company by the hour, something about it just seems…wrong. The men you hire for $125/hour will do, say, and dress however you want (no funny business allowed), if you’re into that kind of thing. At least they’re not selling public resources, I guess, but is this really what the desire for on-demand everything has wrought? Sigh.